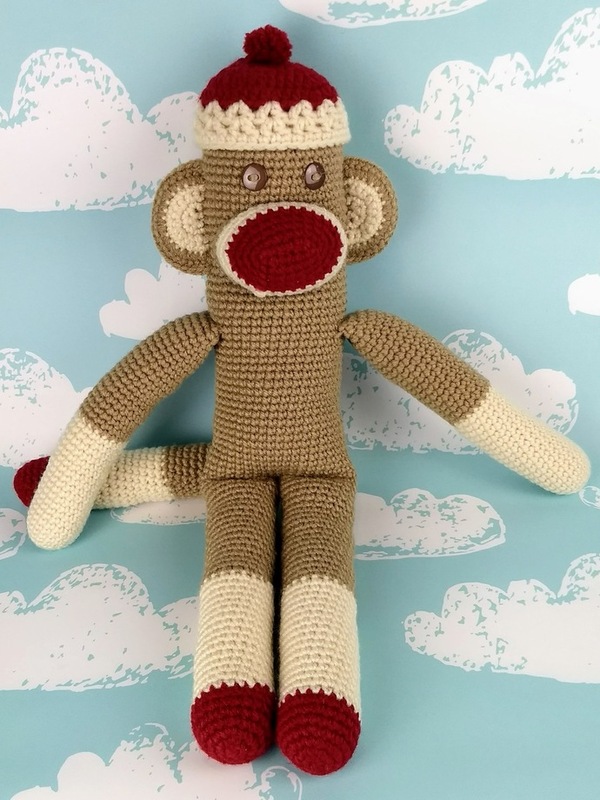 After four years of crocheting Sock Monkey style monkeys, I decided it was time to make one in more classic colors. 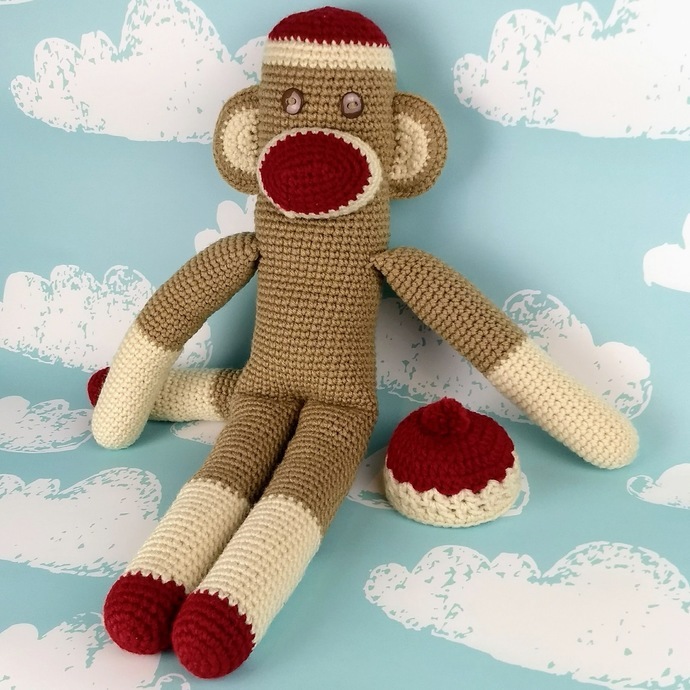 This monkey in beige, cream, and dark red is ready to please the most discerning monkey fan. 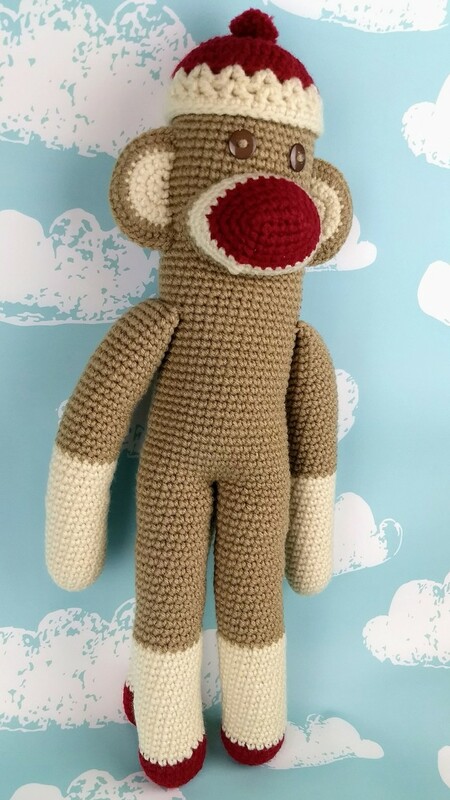 Monkey stands about 18" tall, and the hat is removable. 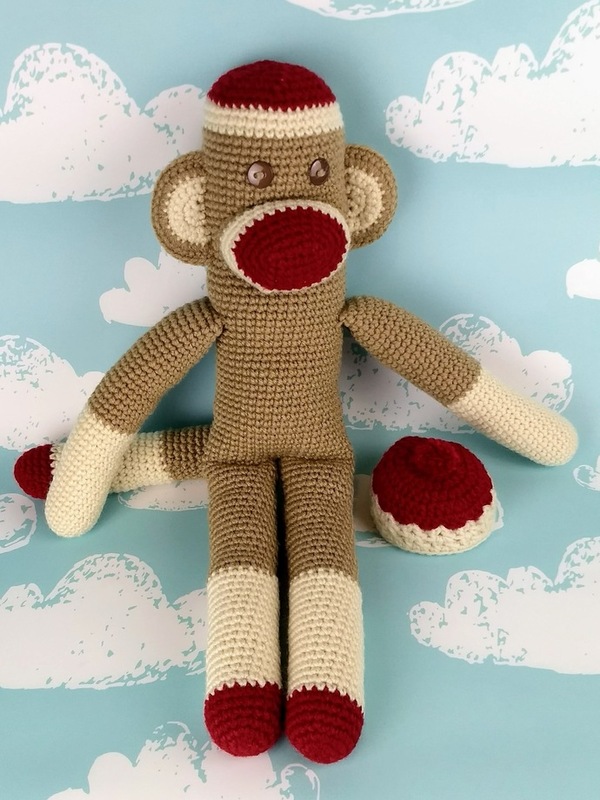 Because this monkey has button eyes and a real pom pom, it is safest for children over the age of 3 who will not try to tear the buttons off and swallow them. 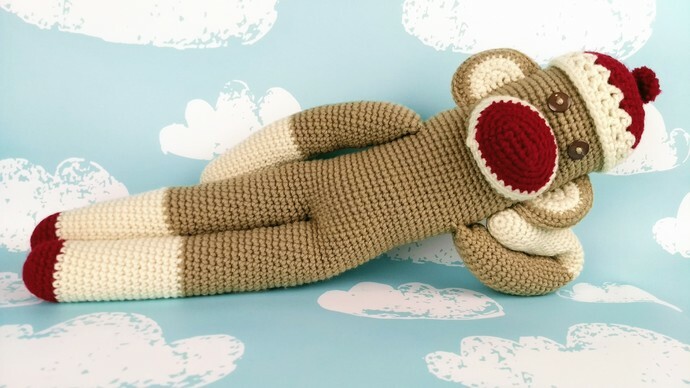 Monkey is made of machine washable acrylic to stand up to serious love. 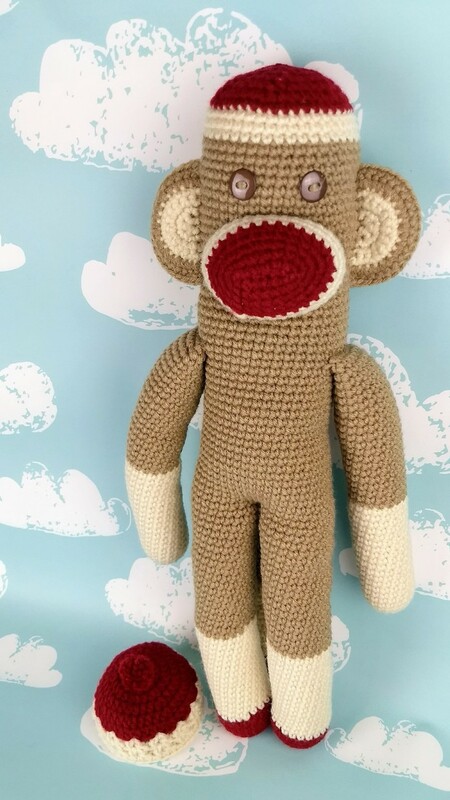 Monkeys destined for US addresses ship Priority Mail. 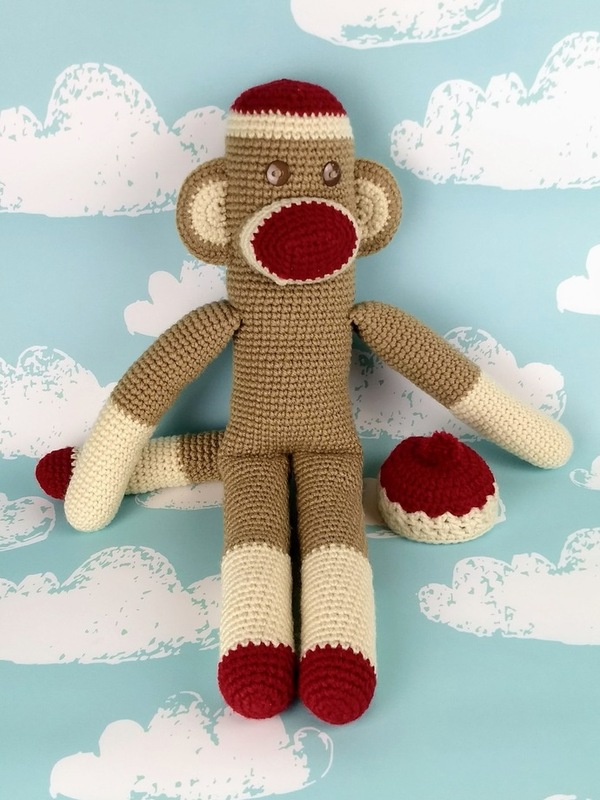 Are you looking for a monkey in different colors? 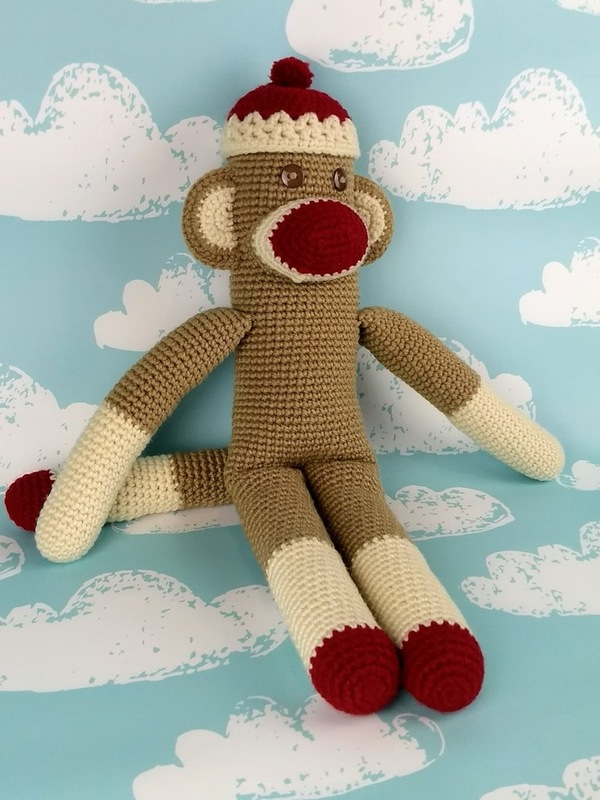 See my Custom Monkey listing at https://goo.gl/PBM4rs to design your own!